November 24th in Wordpress Tips by Wordpress Jedi . watch out for the rogue plugins: many WordPress webmasters are too plugin-happy. In other words, they download every cool, little plugin that they find online. Not all plugins are coded the right way. Many of them contain holes hackers can take advantage of to compromise your website. The same applies to scripts too. Using plugins and scripts on your website without knowing their weaknesses is asking for trouble. not every theme is safe: going back to the previous point, not every theme you find online is safe. Many of them contain malware and security holes that could put your business in jeopardy. Don’t just assume that your theme is safe because you have paid a decent amount of money for it. You should always try to find out about the reputation of your favorite theme’s developer before deploying it on your site. keep your CMS/plugins updated: this is really a no brainer. All WordPress webmasters should put time aside to upgrade their websites to the latest version of WordPress. Don’t forget about your plugins and scripts either. 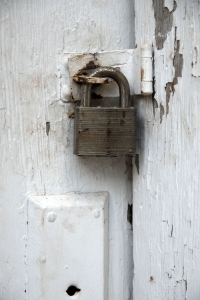 Many developers update their codes as security holes are found and patched. adopt secure policies in your organization: in this day and age, choosing dumb passwords for your admin account is a huge no-no. You should also make sure you do not access your website on a public, non-secure machine. Even when you are accessing your site at home or in your office, you need to make sure your computer is free of viruses and keyloggers. Need to make a FTP connection to your website? Try a secure channel instead. keep up with the latest developments in your community: WordPress has a very vibrant community. There are a ton of publishers who go out of their way to share their mistakes and findings with others to help the community stay trouble-free. You don’t have to follow every WordPress blog there is to keep up with the latest developments. Websites such as this have more than enough information to keep you trouble free. invest in your business: many WordPress webmasters are too hesitant to pay money for advanced security tools for their sites. Services such as Vaultpress or Cloudflare are well worth investing in. Keeping your website protected against hackers takes a lot of work. The above steps help you increase your chances of staying protected against these hack attacks for longer.